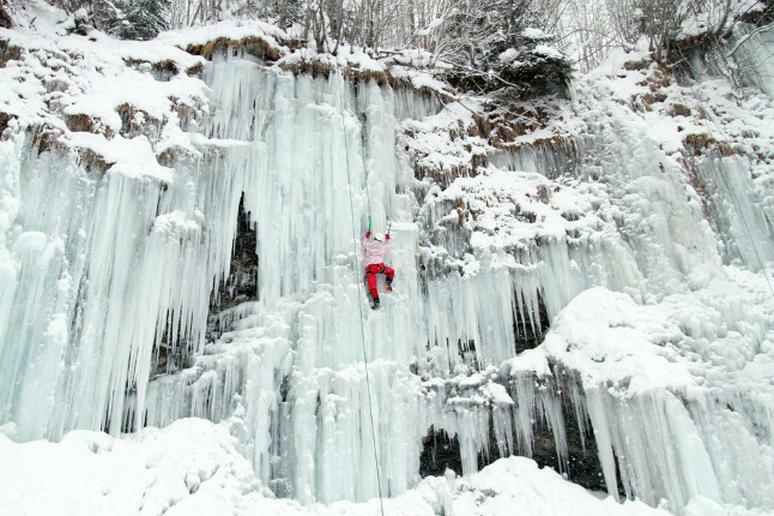 Once considered a mere subset of mountaineering, ice climbing has come a long way. Armed with better equipment thrill seekers took to frozen waterfalls and steep sections of vertical ice in the twentieth century. Today, data from the Outdoor Industry Association suggests the sport of outdoor climbing has been growing and ice climbing is a major segment of that growth. To help explain the popularity of this rugged and dangerous sport we asked two avid ice climbers to weigh in on the risks and benefits. Both Kelly Cordes, an Elite alpine climber and author of the book The Tower: A Chronicle of Climbing and Controversy on Cerro Torre, and Ian Perkins an outdoor enthusiast who has ice climbed for the past six years throughout the U.S., agree—the benefits outweigh the risks. Beyond the challenge of keeping a clear head and practicing good decision making, the sport presents dangers like falling ice, avalanches and the sharp tools athletes need to use can cause injury or sever ropes and harnesses. On top of that, falling is not an option. Despite the major risks, Cordes and Perkins continue to ice climb year after year, searching out bigger challenges and tougher terrain. Perkins agrees, he has extensive training in both ice climbing and first aid, he knows the risks but he refuses to let fear hold him back. The psychological and physical challenges combined with the incredible beauty of the natural world are the biggest factors that draw Cordes and Perkins to the vertical ice. “To be out in the forests and mountains in winter, surrounded by beauty and silence, snow blanketing the landscape and sunlight glistening off the surface, well, all of that makes for a special experience,” Cordes said.